Microcircuits like the V6-inch-square chip enlarged above now carry 10 times as many circuits as ordinary silicon devices. International Business Machines Corp. researchers also put more zip in their experimental chip: It’s four times faster but draws one-tenth the power of previous field-effect transistor (FET) circuits. One tiny chip could have 265,000 memory locations, or over 10,000 logic gates. 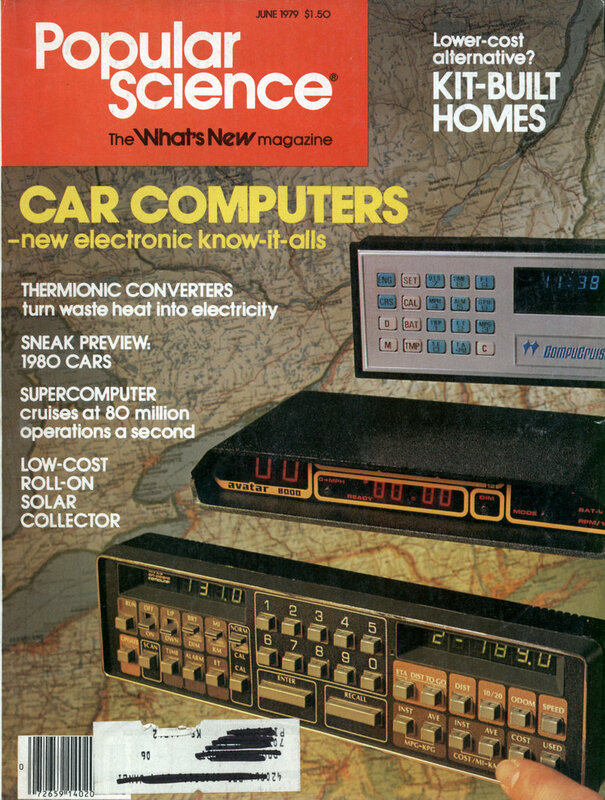 The microcircuits can be switched on and off in 1.1 nanoseconds (billionths of a second) for computer applications. And scientists found the devices switch still three times faster if they’re chilled in liquid nitrogen to â€” 196 degrees C.
This major advance in microcircuit technology, promising better, faster computers, was accomplished by shrinking chip-circuit dimensions to only one micrometer (one micron, or 1/25,000 inch). Eighty-one chips are produced on one presensitized silicon wafer through lithographyâ€”projecting 81 images onto the surface and developing the wafer much like film. Circuit dimensions are so small, however, that light won’t work for lithography. 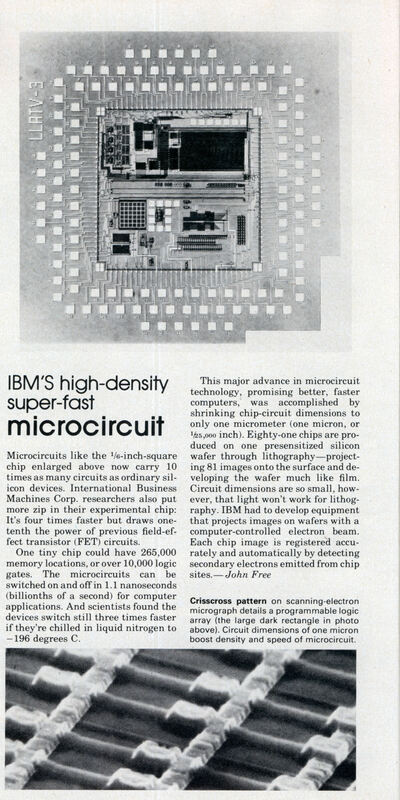 IBM had to develop equipment that projects images on wafers with a computer-controlled electron beam. And to think that we’ve come so far that this chip is way to underpowered to operate even a moden calculator.